You'll need a capo on the 3rd fret to play along in Em! I wrote the 2nd verse whilst watching my partner (now ex) swim at the beach on the island of Hvar, Croatia. ALAN and TRACE are a new exciting country music duo. With collectively nearly 90 years of stage, performing and writing experience behind them. New Single from ALAN and TRACE. Describing the joy and simplicity of growing up on the land. Brittany-Elise's powerhouse voice has seen her perform in Nashville, release her debut album 'Something More' at #2 in the charts and perform with some of the top artists in Australia. Dorothy May is a powerful story written between a Grandmother and her granddaughter and the bond shared growing up, that can never be replaced. Tessa Libreri's sensitive and stirring rendition of the old classic, 'Danny Boy', Destiny Band Oz's version is their ANZAC Day tribute to all those who have served and who continue to serve in the armed forces and their loved ones' anguish at having to farewell them as they head off to war. Matt Angell hails from the Pilbara region of Western Australia. The isolation and wide open spaces of this area have infused itself into his songwriting and music. A song for a sunny Sunday morning. A tune about getting out, having fun and feeling free...looking for adventure, new love and what ever's out there. RACING BIRDS IS a Collaboration by two singer songwriters- Bobbie Lee Stamper and California Jeremy. their Sound is a blend between vintage americana/country and classic lost highway sounds. a hooky little thing with a cross to bear. Hayley Jensen's musical journey has been eclectic, bursting onto the scene through Australian Idol, but ultimately returning to the genre that launched her career - country. Next Big Thing was written by Jensen about consumerism, hype and fleeting fame in our ‘disposable society’. With so much choice at our fingertips and such short attention spans, whether it’s a TV show or a favourite song or artist, one thing comes and another goes, and we move on to the ‘next big thing’ without batting an eyelid. Shortlisted for the Americana Music Prize in 2018, Kelly Brouhaha’s brand of americana soul is as real as it gets. Her debut single “40,000 Star Hotel” tells the story after leaving her marriage and mortgage behind in the pursuit of happiness. Co-written with Aleyce Simmonds is a big, ballsy, freedom-esque blues which captures the heart of the australian landscape and the lure of off-grid living. Born/raised in Wangaratta, Victoria, Jade divides her time between Australia and Nashville, Tennessee. At 21, Jade has been performing since she was 14 and has now played over 400 shows. An autobiographical track about a personal relationship. Written with good friend Taylor Foley in September 2018 while Jade was living in Nashville, post break-up. A tearjerker, expressing a desperate feeling of not wanting to move on and instead feeling a spark and wanting to 'Start Again'. A personal favourite as it's one of Jade's most honest songs to date. With her ability to tell a story that captures the imagination, Jayne has scored #1 hits in Australia, and top 10 songs in the National Country Charts. We all know every good 'Girls Night Anthem' needs a small twist and 'Ladies Lettin' Loose' is no exception. Jayne Denham has joined forces with International artist & producer duo The Banton Brothers to add some of their signature flavor on this toe tapping party anthem. With a piano strapped to the back of his ute, Benny Allen isn't your typical country singer. The name of his debut album, Never Knew I Was Country, is fitting. Written after a conversation with his children about ANZAC Day, We Will Remember is a reflection on the sacrifices made by those who serve on behalf of Australia and New Zealand. Benny Allen captures the poignant story of some of our country’s biggest wars, in We Will Remember, which was a 2019 finalist in the Tamworth Songwriter’s Association Awards. The ‘Rukkus Room Remix’ of ‘Next Big Thing’ is a fresh newly mixed single version of the track by the producer who created the original masterpiece. It captures all the elements of the original track with, in Jamie’s words, “more goodness”. Jamie Tate’s sophisticated, dark and edgy production of this song captures the intention of the lyric so perfectly. Take It From Me is the latest release from Queensland pop-country starlet Taylor Moss, penned by Moss with Aussie ex-pat Katrina Burgoyne and Nashville local Mary Cutter. A super-catchy, modern country styled track, produced by Golden Guitar winner Matt Fell, it’s based on actual events in Taylor’s life. Aaron Jurd is a top 5 iTunes charting country artist who has performed at the Golden Guitars and official opening of the Tamworth festival, and written with award-winning artists. Hard To Breathe is an upbeat track that reminisces about all those feelings that come with new love and takes listeners back to that first kiss that takes your breath away. With its roots in country and branches edging slightly towards pop, this song makes you feel like dancing and will have you singing along, long after the final note. Australian award winning Kross Kut Records artist, Kylie Adams-Collier has been writing, performing and recording for over thirty years. She has been described as a painter of words. Poley's Hoedown is an iconic country music festival in Barrington NSW. Started by Noel Poley Everett, this much loved festival celebrates it's 40th festival this year. Many artists have played over the years including Kylie. At night campers sing around the campfires. One night Kylie was offered moonshine under the moonshine which lead to her writing this TSA finalist song. Multiple Award Winning Country Music Legend - Allan Caswell. With a Positive Attitude and a new lease on life, Anita Tresidder, your average housewife, mother and singer of over 20 years from the Central Coast NSW. Bucket List is a tribute to Anita's idol, Beccy Cole. Anita has ticked off many of her 'bucket list items' with just one left. To sing with Beccy Cole. Can we make it happen? Only time will tell. Bloom has been gaining International critical acclaim with her effortless soulful vocal resonance of power vocalists Adele, Amy Winehouse and Linda Ronstadt as well as her own original songs. Bloom covers the hit 'Feels Like Home' originally written and recorded by American singer/songwriter/producer Linda Ronstadt and was originally released in 1995. They're called Four Lions, but there's actually five of 'em these days. 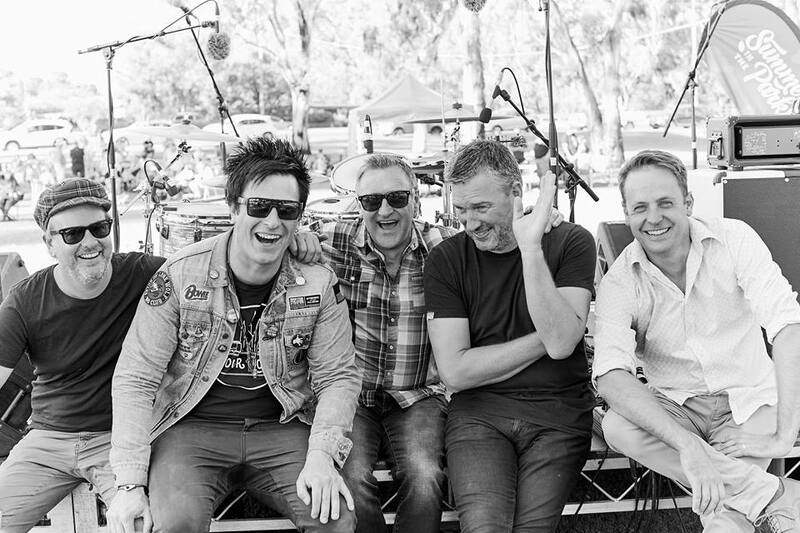 And you'll find them rocking out in the central Victorian town of Bendigo. "It went from sounding like The Who (in demo form) to evolve into something vibing from Tom Petty's back catalogue," says frontman and chief songwriter Shann Lions. "The person in Stay has come to the realisation that they have put their own personal fulfillment to the side in a relationship."